When shopping for a car, it’s important to take into consideration all of the associated expenses. Of course, the sticker price will be one of the most important amounts to consider, but it’s not the only one. The down payment, monthly payment amount, insurance, and other maintenance costs that could arise should all be factored into your car budget. What’s the easiest way to figure out what you can actually afford? A car loan calculator. By simply entering in a few numbers, you’ll be able to see a breakdown of your potential monthly payments. Additionally, a car loan calculator will allow you to play around with different numbers so you can find the most affordable auto loan for your financial needs. By helping you become more educated, this tool allows you to feel empowered throughout the entire car buying process. The team at LendingArch is here to help you find an auto loan that you can actually afford. While you can technically spend anywhere between 10% to 50% of your gross annual income on a vehicle, it’s advised not to spend more than 35% of your gross annual income or 20% of your monthly take-home pay. Why? Spending any more on a car can lead to higher monthly payments that you might not be able to afford. When looking for a new car, the lower the sticker price, the better. Of course, we recognize that buying a car is personal and everyone’s specific financial situation is different. For example, you might feel more comfortable and confident in splurging for the car of your dreams if you can pay for it all in cash. At the end of the day, only you will know how much you can and cannot afford. A car loan calculator can help you to determine what “affordable” means to you. From your take-home pay, it’s up to you to determine how you spend it. Of course, some of that money has to go towards necessities but the remaining amount can be spent however you see fit. In figuring out this amount, there are practical considerations you must take. For example, you should make sure you have room in your budget for both entertainment and emergencies. This means that spending all of your remaining monthly budgets on a car payment wouldn’t be the best financial decision as it can cause you to rack up debt. Putting practicality aside, we also know that buying a car is an emotional decision. Why? Oftentimes socioeconomic status is placed on the type of vehicle you drive. In some professions and social circles that bears more weight than others. It is important to try to keep perspective. While it might be tempting to give in to the seduction of those alluring auto ads and a richer lifestyle, it’s extremely important to spend wisely so you don’t find yourself struggling to pay your bills month to month. Where do you start? What is your ideal price range? Use an affordability car loan calculator to find out. Zip Code: This will help to determine the best rates and pricing in your area. Target Monthly Payment: After creating your budget, you can enter in the ideal amount that you want to pay. Loan Term: You can choose the length of time you want to pay your loan back. Typically, the options are 36, 48, 60, and 72 months. Market Finance Rate: An annual interest rate that serves as the cost of credit. This will be a pre-populated field in the car loan calculator. Trade-In: If you own a car and are planning on trading it in, you can enter in the amount of your trade-in and the current amount that you owe. This can help to reduce costs of your new car. Cash Down Payment: Enter in the ideal amount that you want (and can afford) to put down initially towards your car. The more you put down, the lower your monthly cost and loan amount will be. Once all those numbers are entered, you can simply click the calculate button and you’ll be met with: total down payment and car price range. A great online car loan calculator may even list out the max price that you should pay. In addition to using a car loan calculator, you can also be proactive and limit how much you spend on your car with efficient budgeting. For example, you can save part of your monthly take-home pay until you can afford the car you want and pay in cash. You can also buy a used car instead of new. Just keep in mind that there are pros and cons with each option. All payments calculated from the car loan calculator are based upon industry data. Working with a car dealer and lender can potentially help give you more accurate, real-time numbers and data. 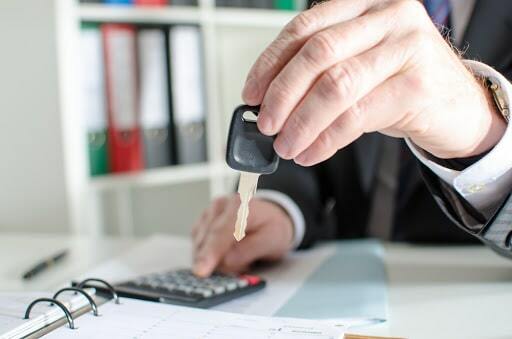 Another benefit of using a car loan calculator is that they factor in information regarding a vehicle’s trim level, add-on packages, sales, tax, title, taxes, and other fees. You can play around with budgeting for different vehicle models by entering in various amounts corresponding with different car features, allowing you to find a car that you can afford. Most car loan calculators assume good credit; however, if you have little to no credit there’s no reason to fret. Nor does it automatically mean you cannot secure an auto loan. The team at LendingArch specializes in matching Canadians to the right lenders. Simply fill out our short online application. How Do You Calculate Your Car Budget? First, take some time to create a comprehensive budget and write down what you spend per month. From your monthly take-home pay, subtract rent or mortgage payment, utility bills, food, entertainment, and other incidentals. The amount remaining is what can you can use toward a car payment and savings if you desire. Then, find all of the vehicles that fall into that payment range. Using online tools such as Edmund’s Affordability Calculator, an incredibly helpful vehicle loan calculator, will show you all the cars in your price range. After that list has populated, you can perform some research to narrow down your list to 3-5 vehicles. Finally, once that list of vehicles has been finalized you can plug in the different numbers associated with the vehicles on your list to a car loan calculator. This can help you to see what type of car you can afford. These numbers will also prepare you for negotiations at the dealership. Before buying any car, we do encourage you to not only shop around at different dealerships to find the best deal but we also recommend that you test drive a few different cars. Purchasing a car is one of the biggest purchases you’ll make in your lifetime, and you don’t want to end up with a vehicle that has a bad blind spot or uncomfortable armrests. How Can A Car Loan Calculator Help You Financially? We’ve mentioned this above but one of the biggest benefits of using a car loan calculator is the ability for you to see what kind of car you can actually afford. This tool also allows you to see a breakdown of certain monthly payments. The easy-to-use and intuitive nature of car loan calculators also allow you to quickly plug in numbers to view how a bigger or smaller down payment can adjust the monthly costs. Other resources such as going to the dealership can still give you this information but it won’t be as fast and it could come with pressure. Using an online car loan calculator means you can budget out a car with zero stress from the privacy of your home. Another benefit to using a car loan calculator is the practicality behind it. Typically a financial institution or car dealer can approve you for a car loan amount that far exceeds what you may actually need. Oftentimes this amount is something that you can’t afford. This could ultimately mean that stop making payments thus resulting in car repossession. Car loan calculators will show you a sensible amount to be spent on a car. These results will help to make you feel more empowered when walking into the car dealership for a car purchase. What Should You Do After Using an Online Car Loan Calculator? We recommend that you get pre-approved for an auto loan. There are plenty of options for you to choose from: car dealerships, banks, credit unions, and online lenders. Compare a few different rates to make sure that you find the best one. Finding out what you can get approved for before you walk into a car dealership will allow you to be prepared in the negotiation process. Remember that getting pre-approved for an auto loan doesn’t mean that you’re agreeing to a loan, you’re just simply looking at all of the available loan options that you can afford. Simply filling out a short form with employment, income, driver’s license, address, and down payment amount will then connect you to a loan specialist who will ask you a few more follow-up questions. From there you’ll then be connected to a financial specialist at a local dealership. Together, you’ll find the best car loan. At LendingArch, we understand that the car buying process can be very overwhelming. This is why we offer tools and advice to help you feel empowered. Our team is always here to help answer any questions that you may have along the way. Are you ready to find the best car loan to meet your needs? Get started today.